Can Justice be Justice if it’s not Blind? Across the country on thousands of bulletin boards are the requirements of the Equal Opportunity Employment Act. In essence, these proclamations state that no one may discriminate based on race, religion, etc., regarding the hiring of applicants for employment. This stance by the government is contradicted by such advocacies as affirmative action, which grants preferences to certain physiological differences that applicants have no control over. This is a simple example of the government trying to double talk to get the most possible support in the voting booth. This is also an example of the dilution of principle to pragmatic political pandering. The idea of justice which the government is charged with instituting and which we hear daily in the pledge of allegiance..”with justice for all” is compromised by this double talk. How can there be justice for all if some are preferred over others because they happened to be born with a different skin color? This is so obvious a contradiction you would think people who claim educational credentials would enumerate it concisely and reject it out of hand. Instead you have writers and politicians parsing and twisting an out-and-out racist statement into some sort of excusable parlance. When a person announces publicly that one race has superior decision making skills because of their race and/or experiences this phony claim must be dissected and discarded. First, decision making skills are acquired by training and understanding. When you make a decision you necessarily consider your objectives, your priorities, your alternatives, your risk and make a best balanced choice. This is universal for any decision maker. Simply announcing you decided something because you felt a certain way is not decision making but emotional indulgence. We have seen many demonstrations of such choices and the proof of the lack of exercising good decision making skills is how a decision is explained after it is executed. For instance a politician may be asked why he voted for a certain bill which he didn’t read. The basis for deciding to vote for the bill was not on the content or the validity of the bill but because he would get support for a bill he sponsored from the sponsor of the bill he voted for but didn’t read. This was not a good decision and he cannot justify it without announcing a quid pro quo. His objective was to get the support of the bill’s sponsor and his alternatives were to consider the content of the bill or simply ignore that aspect and vote for it for personal gain. The minute he chose to ignore the content he entered the arena of emotional response which he would not want to explain later and leaves him with a wish that it will not be discovered or questioned. This is another example of injustice the politician is willing to propagate. When a judge or a judicial candidate announces publicly they have a bias toward a race or against a race they are not fit to enter the field of law and pursue justice. They evidently don’t understand or are unwilling to recognize that justice requires all men and women be treated equally under the law and this does away with any remnants of bias or prejudice. The announcement of such bias shows how the person thinks and how they will presumably act when in the position of making legal decisions. The question is what goes on in the mind of someone who doesn’t want to be discriminated against but is willing to discriminate against someone else? This shows a shallow disregard for equality and justice and when it is exhibited in a candidate for the highest court in the land it shows how poor the selection process is being implemented to fill such a position. The term empathy has also entered this nomination process and it too needs to be properly dissected and discarded. There is not room for a major emphasis on empathy in the court room. Who do you feel sorrier for? The plaintiff or the defendant? On what basis? Do you feel empathy for the economic condition of one person over the other? Do you feel empathy for one persons race over another? Do you feel empathy for the poor garments on the backs of one side? There is no end to the ramifications of possibilities when it comes to empathy. After the case is over and the judge says,” I felt sorry for so and so” will that be sufficient to justify the decision? Very few would be satisfied with such a decision. The Soviet Union had the grand charge of trying to change human nature and we are seeing the same kind of experiment being tossed in our faces today. The residual nonsense of collectivism that was swirled around in academia produced not only gullible followers but a leader who epitomizes the false ideals for a socialized state. Those ideals will not work and they undercut the ones that created and sustained America for centuries. The founding fathers may not have created a perfect union but they knew some inviolate principles that could produce one. Undercutting the principle of justice with racism and empathy muddies the waters and puts us adrift on a sea of turmoil exasperated by fiscal ignorance and blatant political power grabs. America is in big trouble while socialist puppeteers promise and parrot the obfuscation of undefined hope. Perhaps it is too late for America to redefine what really is and act accordingly. When leaders make excuses for racism in blatant open forums and apologists from all sides try to excuse the inexcusable there is no spark of indignation to reverse the slow drift to socialist doldrums. The world has set an example and America has blindly and stupidly joined the drift while the obvious truth demonstrated another path. What the American public will now put up with in the name of blind adulation and ignorance is becoming more clear. As justice is obliterated with distortions of equality and injections of empathy the foundation of the country trembles and crumbles. With the loss of justice comes the loss of profit and trade, the responsibility of the individual and the collapse of what was once a material paradise. All this from accepting the idea that the incompetent have a right to succeed. Well, the success has happened and the results are predictable and destructive. 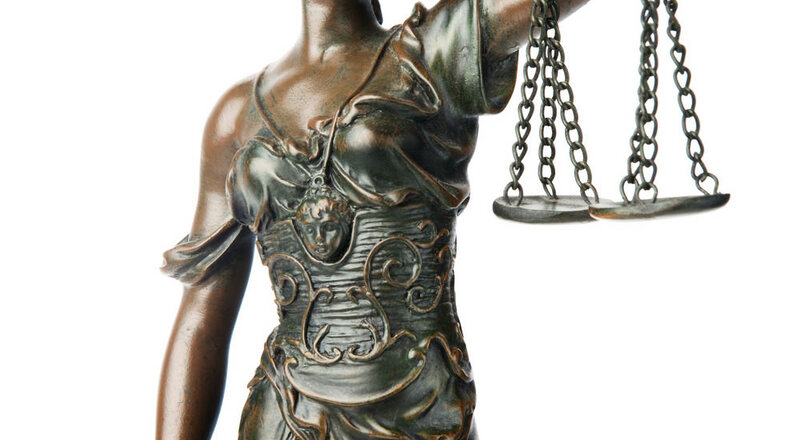 Justice prevails in spite of ignoring what it consists of and acting appropriately.